Two major prospective studies have concluded that levels of serum vitamin D are related to a diagnosis of MS. One study included US military personnel,1 and the other was a study of patients from northern Sweden.2 Both studies measured serum 25-hydroxyvitamin D and showed a 50% to 60% reduced risk for MS among individuals with the highest levels. The protective threshold was approximately 40 ng/mL. Whether this indicates a preventive effect, per se, is not clear. If it does, how much vitamin D is optimal, and when in the life span should it be given, and for how long? These are unanswered questions, said Dr Mowry. The limitation of these findings, she acknowledged, is that most of the data come from observational studies. Although some randomized trials have demonstrated an association, others have not. In one study of 66 patients with relapsing-remitting MS, those who were randomized to 20,000 IU of vitamin D3 weekly for 1 year experienced significantly fewer enhancing T1 and new T2 lesions and a trend for lower disability scores.8 A number of other randomized trials, however, have not shown significant benefits in terms of reduced rates of relapse and disability. “Most have been small pilot studies, and while they have shown no impact, they have been small studies of short duration,” Dr Mowry pointed out. She added that she is encouraged by the results of in vivo experiments demonstrating reductions in multiple inflammatory markers with vitamin D supplementation.9 “The change in these markers mimics treatment with interferon,” Dr Mowry commented. Dr Mowry hopes to confirm the benefit of vitamin D supplementation in a new trial she is leading—Vitamin D to Ameliorate Multiple Sclerosis (VIDAMS)—which will randomize patients who received glatiramer acetate to also receive oral vitamin D3 as either 5000 IU daily or 600 IU daily. It is not clear how high of a dose is needed for a protective effect, she said. Other randomized trials are also evaluating vitamin D3 supplementation, including the CHOLINE, VITADEM, EVIDIMS, PrevANZ, and D-Lay-MS studies. The doses of vitamin D3 in these studies range from 4000 IU daily to 100,000 IU daily. “Randomized trials will provide critical information about the role of vitamin D supplementation in people with MS,” she said. In the meantime, it is good practice to prescribe supplementation, according to Dr Mowry and other experts speaking at the session. Some specialists at the session said they simply prescribe 5000 IU of vitamin D daily to all patients, although other specialists indicated that some patients may need up to 15,000 IU daily. Vitamin D3 is preferred over vitamin D2, which is less potent. Munger KL, Levin LI, Hollis BW, et al. Serum 25-hydroxyvitamin D levels and risk of multiple sclerosis. JAMA. 2006;296:2832-2838. Salzer J, Hallmans G, Nyström M, et al. Vitamin D as a protective factor in multiple sclerosis. Neurology. 2012;79:2140-2145. Munger KL, Åivo J, Hogell K, et al. Vitamin D status during pregnancy and risk of multiple sclerosis in offspring of women in the Finnish maternity cohort. JAMA Neurol. 2016;73:515-519. Nielsen NM, Munger KL, Koch-Henriksen N, et al. Neonatal vitamin D status and risk of multiple sclerosis: a population-based case-control study. Neurology. 2017;88:44-51. Mowry EM, Krupp LB, Milazzo M, et al. Vitamin D status is associated with relapse rate in pediatric-onset multiple sclerosis. Ann Neurol. 2010;67:618-624. Mowry EM, Waubant E, McCulloch CE, et al. Vitamin D status predicts new brain magnetic resonance imaging activity in multiple sclerosis. Ann Neurol. 2012;72:234-240. Mowry EM, Pelletier D, Gao Z, et al. Vitamin D in clinically isolated syndrome: evidence for possible neuroprotection. Eur J Neurol. 2016;23:327-332. Soilu-Hänninen M, Aivo J, Lindström BM, et al. A randomised, double blind, placebo controlled trial with vitamin D3 as an add on treatment to interferon β-1b in patients with multiple sclerosis. J Neurol Neurosurg Psychiatry. 2012;83:565-571. Sotirchos ES, Bhargava P, Eckstein C, et al. 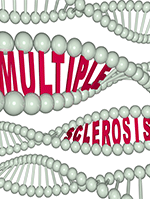 Safety and immunologic effects of high- vs low-dose cholecalciferol in multiple sclerosis. Neurology. 2016;86:382-390. Smolders J, Hupperts R, Vieth R, et al. High dose cholecalciferol (vitamin D3) oil as add-on therapy in subjects with relapsing-remitting multiple sclerosis receiving subcutaneous interferon β-1a. Presented at the 32nd Congress of the European Committee for Treatment and Research in Multiple Sclerosis; September 14-17, 2016; London, United Kingdom.